The Chronic Rift Network : Doctor Who & Mister Drew: "Planet of Giants"
Doctor Who & Mister Drew: "Planet of Giants"
The TARDIS doors open suddenly in mid-flight causing the dimensions of the vessel to change. When the crew emerges in modern day England, they find themselves the size of insects in a planet of giants. Add to that, there's a murder mystery that they become involved in. How can they solve it and bring the murderer to justice in their diminutive state? 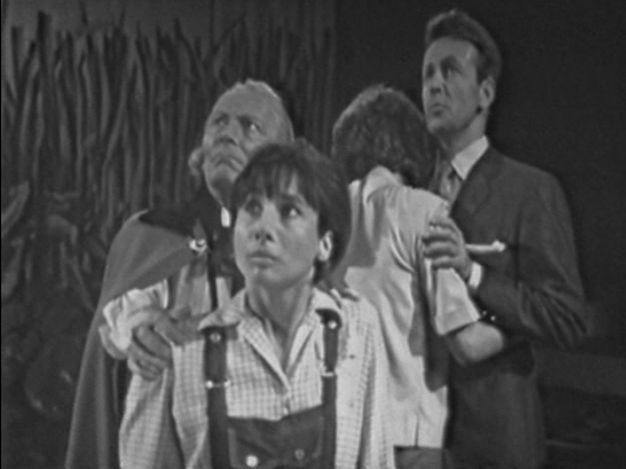 It's the first episode of the second series of Doctor Who from 1964. This was supposed to be the first story in the series proper and it's a good thing it wasn't as it's as short in its content as the time travelers. Take a listen to this brief review and let us know what you think of it by leaving a comment here.